It’s been awhile since America and You Me At Six have seen each other. The Surrey-natives’ most recent tour here was back in 2014, in support of their second to last album, Cavalier Youth. 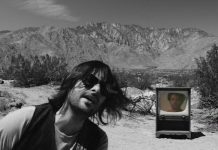 Since then, the band have taken some time off, recouped, came back refreshed and released the chart-topping Night People in early January. “Give” was the third single from the record—a standout track showcasing frontman Josh Franceschi’s versatile vocals, exemplified in a powerful chorus that will get stuck in your head for days. The new video for “Give” shows You Me At Six performing at the legendary Shepherd’s Bush Empire venue, which the band hit for the first time during their run of the U.K. late last year. Night People is You Me At Six’s fifth album, recorded with Grammy Award-winning producer Jacquire King at Blackbird Studio in Nashville, Tennessee. There was almost exactly three years between Cavalier Youth and Night People, during which the band went almost completely dark. This was the first time You Me At Six took a real break since they formed back in 2004, when Franceschi was still well in his teens. “It is important to tap the brakes sometimes, and we’ve never done that. We’ve been go go go for the last 10 years. It’s either been touring or making a record or touring or making a record. It’s good—it’s not good, it’s great. For Franceschi, that meant improving on his voice through vocal lessons. “We all took different aspects of what it is we do and focused to try and get better at our instruments and our crafts,” he says. Leading up to Night People, the band would gather at drummer Dan Flint’s house, which has a recording studio. They eventually went to Sheffield and began demoing with producer Ross Orton, credited for work on Arctic Monkey’s AM. Finally, You Me At Six were put into contact with Jacquire King. 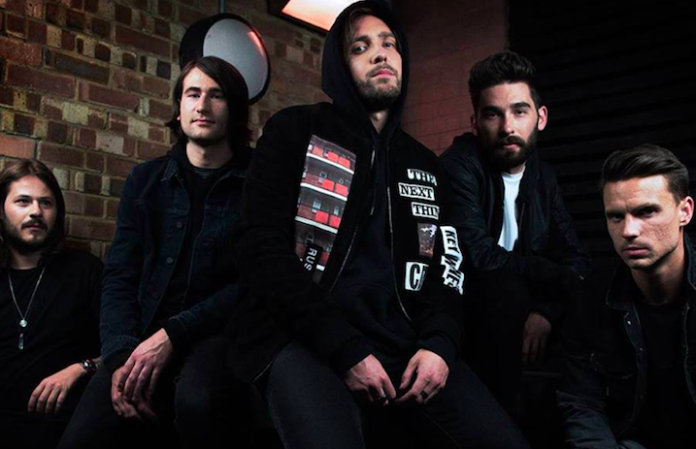 Franceschi describes the recording process of Night People as “very, very focused,” unlike when they recorded in California, where they did the previous two albums, Cavalier Youth and 2011’s Sinners Never Sleep. 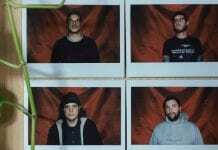 The band also shut off their social media during that time, which, Franceschi says, was an effort to eliminate all distractions, even from other bands. They didn’t even listen to the radio or any other rock records. Night People went in mid-week at No. 1 on the U.K. charts, eventually sitting at No. 3 by the week’s end. To Franceschi, this was a huge surprise. 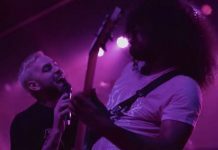 Another accolade that came as a surprise to You Me At Six happened at this past summer’s APMAs, where the band took home the Skully for Best International Band. To that end, Franceschi and co. have big plans for the U.S. with this album cycle. They’ll be hitting the States on a tour this spring/summer, with details to come. “We’re very, very focused on moving forward and progressing in America,” Franceschi says. Spring Fever Tour, part two? “We’ve been thinking about doing that, and trying to line it all up. The problem is that because we’re probably the smallest band out of the four that did it in the first place, we can’t really call the shots. Watch You Me At Six’s new video for “Give” below.